ALBERINO FRESE DD2 D-32-21OMM PRO-FIT.. DRILL STOPPER D 10 MM PER PUNTE PERFORANTI. QUESTI SPECIALI LIMITATORI DI PROFONDITA IN PLASTICA SMETTONO DI GIRARE ASSIEME ALLA PUNTA PERFORANTE NON APPENA TOCCANO LA SUPERFICIE D.. DRILL STOPPER D 12 MM PER PUNTE PERFORANTI. QUESTI SPECIALI LIMITATORI DI PROFONDITA IN PLASTICA SMETTONO DI GIRARE ASSIEME ALLA PUNTA PERFORANTE NON APPENA TOCCANO LA SUPERFICIE D.. DRILL STOPPER D 3 MM PER PUNTE PERFORANTI. QUESTI SPECIALI LIMITATORI DI PROFONDITA IN PLASTICA SMETTONO DI GIRARE ASSIEME ALLA PUNTA PERFORANTE NON APPENA TOCCANO LA SUPERFICIE DI.. 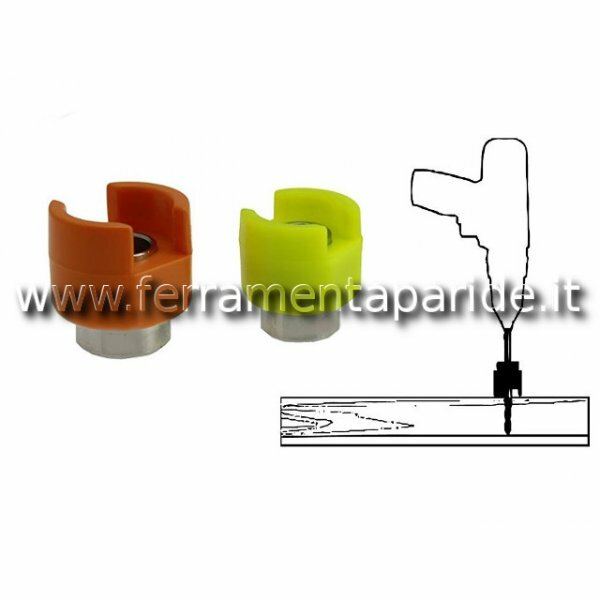 DRILL STOPPER D 4 MM PER PUNTE PERFORANTI. QUESTI SPECIALI LIMITATORI DI PROFONDITA IN PLASTICA SMETTONO DI GIRARE ASSIEME ALLA PUNTA PERFORANTE NON APPENA TOCCANO LA SUPERFICIE DI.. DRILL STOPPER D 5 MM PER PUNTE PERFORANTI. QUESTI SPECIALI LIMITATORI DI PROFONDITA IN PLASTICA SMETTONO DI GIRARE ASSIEME ALLA PUNTA PERFORANTE NON APPENA TOCCANO LA SUPERFICIE DI.. DRILL STOPPER D 6 MM PER PUNTE PERFORANTI. QUESTI SPECIALI LIMITATORI DI PROFONDITA IN PLASTICA SMETTONO DI GIRARE ASSIEME ALLA PUNTA PERFORANTE NON APPENA TOCCANO LA SUPERFICIE DI.. DRILL STOPPER D 8 MM PER PUNTE PERFORANTI. QUESTI SPECIALI LIMITATORI DI PROFONDITA IN PLASTICA SMETTONO DI GIRARE ASSIEME ALLA PUNTA PERFORANTE NON APPENA TOCCANO LA SUPERFICIE DI..